In this section you can find several VST plugins, that allow spacial manipiulaton of the sound. The plugins you can find here are already quite old and I’m not sure, whether they do still work entirely with the latest hosts. By convoluting any given signal with the HRTF (head related transfer function) for a given position it is possible to simulate a spacial sound as if the signal actually comes from the given position. 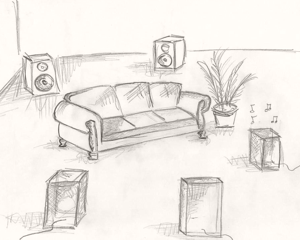 By automating the position, you can let the music virtually fly around you. The plugin was one of my first VST plugins and it is now the third implementation. Crosstalk Cancellation is a plugin that cancels crosstalk from the averted loudspeaker to each ear. The result is a headphone-like listening situation without headphones. Headphone Mix is a GUI-less plugin which applies a little inter-channel crosstalk to compensate the so-called in-head-localisation known from listening with headphones. With this plugin you can simulate a quadrophonic environment using simple headphones based on HRTF convolution. 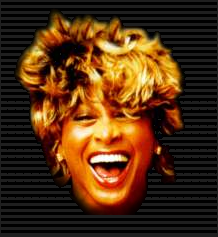 Tina-Turner is a VST plugin, which simulates pseudo surround sound with 4 speakers. 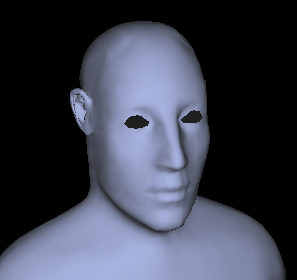 Based on HRTF convolution this plugin allows you to convert any 5.1 source to a stereo source. Some Matrix En-/Decoders for the SQ and QS quadrophonic sourround format.